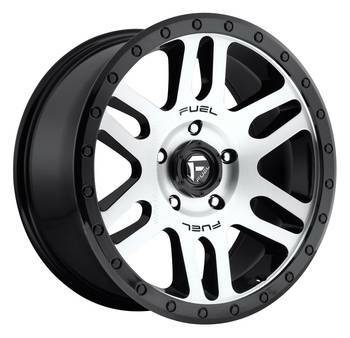 If you are in search of the Black D584 rims from Fuel in a -6MM offset you have come to the right spot! Destination 4X4s and MOre has the guaranted best pricing for sale online on all Fuel Recoil wheels in 8 wide in a Black finish. The 5x5" bolt pattern, also commonly referred to as 5x127 is an ideal fitment on the 2007 & newer Jeep Wrangler JK, Jeep Commander & Grand Cherokee and many more!